Federal Direct Student Loans are a type of federal financial aid and are generally included as part of your “award package” options. At BC, we participate in the Direct Stafford Loan program which has the best benefits for borrowers. Read more about terms and eligibility of the Direct Stafford Loan. When you complete the BC Financial Aid Application, make sure you complete the Loans section! Tip: If you’re a continuing BC loan applicant, you can skip step 2! Your MPN and counseling session should still be on file. If you’re not certain about this information being on file, you can verify your required documents are in order by contacting our office or by logging in to the Financial Aid Portal. Your letter will be sent to you by US Mail. It will detail your loan amount and the type(s) of loan(s) for which you are eligible. If you’d like to decrease your loan amount or return loan funds, notify the BC Financial Aid office immediately so we can ensure the proper action is taken. When you receive a Direct Stafford Loan for the first time, you must complete a Master Promissory Note (MPN). The MPN is a legal document in which you promise to repay your loan and any accrued interest and fees to the U.S. Department of Education. The MPN also explains the terms and conditions of your loan. In most cases, one MPN can be used for loans that you receive over several years of study. Get full details about the MPN. In order to be eligible and receive your Direct Student Loan you must be registered in at least six credits. 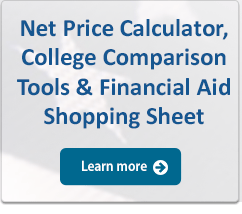 You must also be meet the Bellevue College Financial Aid eligibility requirements.